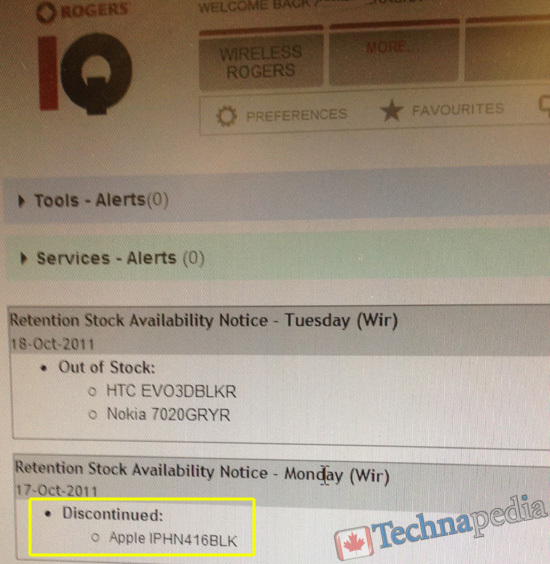 An internal note on Rogers’ retention systems page reveals the 16GB iPhone 4 has been discontinued. The iPhone 4 is now solely availably in 8GB capacities only. Leading up to the iPhone 4S announcement, Telus dropped its 16GB iPhone 4 prices to $99 on contract, with other carriers following suit afterwards. Apple slashed prices on the iPhone 4 to $99 for 8GB models on contract. All of the ‘Big 3’ carriers have followed suit in reducing prices, and resellers such as Future Shop have offered the device free on contract. If you’re hoping to snag a 16GB iPhone 4, good luck, as units are dwindling fast or are already gone.